Today, my daughter finished up making her “Ugly Doll” that she named, “Alex”. She had me help with sewing on his eyes, but other than that, she did it all herself! I’m so proud of her!!! Way to go Mar! I want one, too! I’m teaching sewing classes all day tomorrow from my in-home studio so, it looks like I’ll be able to post Part 3 of the T-Shirt Quilt on Sunday afternoon or early Monday. 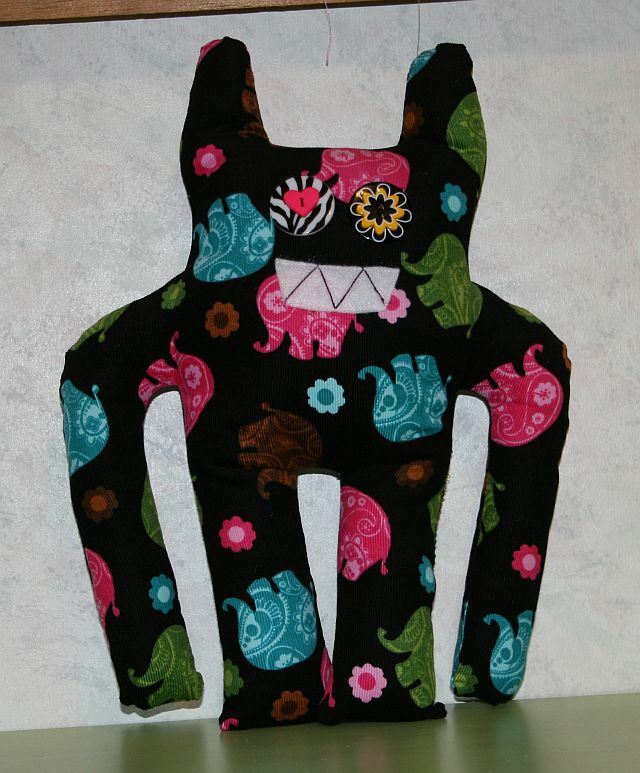 This entry was posted in Just for Fun and tagged mccalls 5826, sewing projects on February 17, 2012 by Jenny Gabriel. 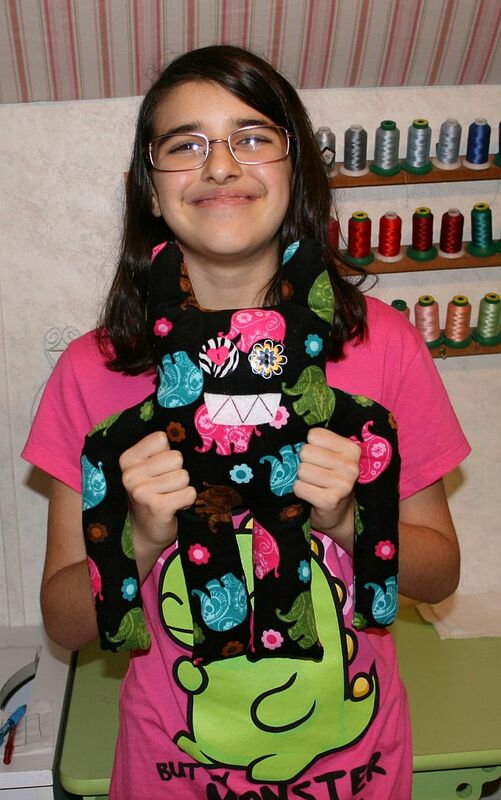 It’s “sew” great that you’re able to spend mother-daughter time doing something that you love! Wonderful! Great project idea for summer camp at grandparents. Even grandson will love this. Thank you.